SAG-AFTRA, the nation’s largest labor union for actors, has announced that legendary jack-of-all-trades Alan Alda will be honored with the organization’s highest honor—the SAG Life Achievement Award. He’ll accept the honor during the televised 25th Screen Actors Guild Awards Jan. 27, 2019. 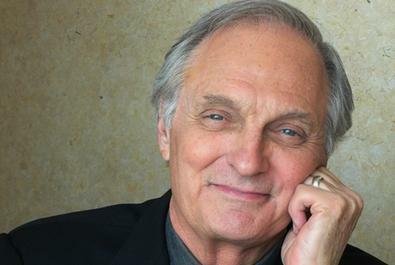 Alda is perhaps best known for his role as Dr. Hawkeye Pierce on the iconic ’70s television show “M*A*S*H”—which is still popularly rerun and revered. Alda wasn’t only known for his acting on the series, but he also wrote and directed several of the episodes including the finale—earning him an Emmy Award for all departments. Alda is the only figure to win Emmys in all three categories for the same project, and has earned six total. Alda’s career path has been bedazzled with a Television Hall of Fame induction and six Golden Globe Awards, as well as four SAG Award nominations and three Tony Award nods. He is currently on set for a new, unnamed Noah Baumbach film co-starring Scarlett Johansson and Adam Driver. The dexterous Alda is not only praised in Hollywood; the 82-year-old entertainer’s humanitarian action has made him beloved in the scientific community as well. Hosting “Alan Alda in Scientific American Frontiers” and a professorship at Stony Brook University have earned him legitimacy in academia that rarely intersects with celebrity. Alda’s affinities for science and evolution have given him a mystique of a living American genius—a loveable figure with a cult following. Previous SAG Life Achievement Award recipients include 2018’s Morgan Freeman, Lily Tomlin, Carol Burnett, Rita Moreno, and others. Alda will be crowned with the 55th honor at the 25th annual SAG Awards which will be televised on TBS and TNT.